Hidden behind cornfields along North Michigan Road is a 10-acre field surrounded weekly by tailgaters watching a unique sporting event. 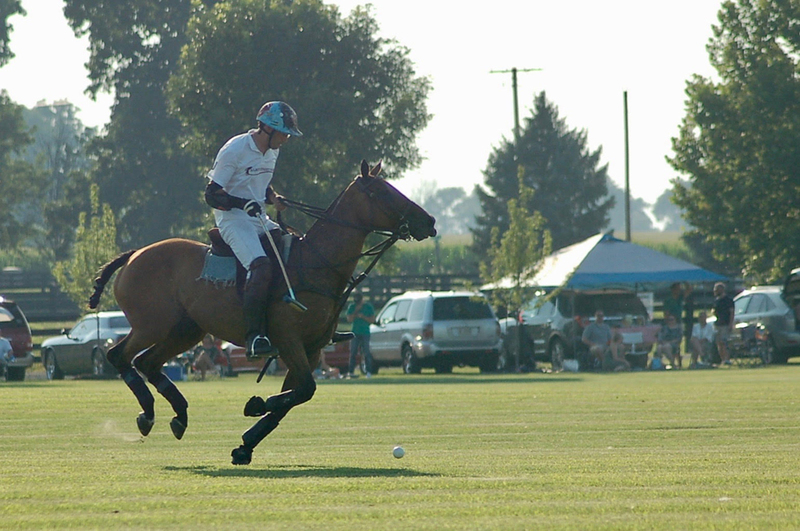 Hickory Hall, Indiana’s only polo club, has held recreational polo matches for the past 14 years. The season began last month and continues to October. The club supports 22 charities throughout Indiana and Boone County. 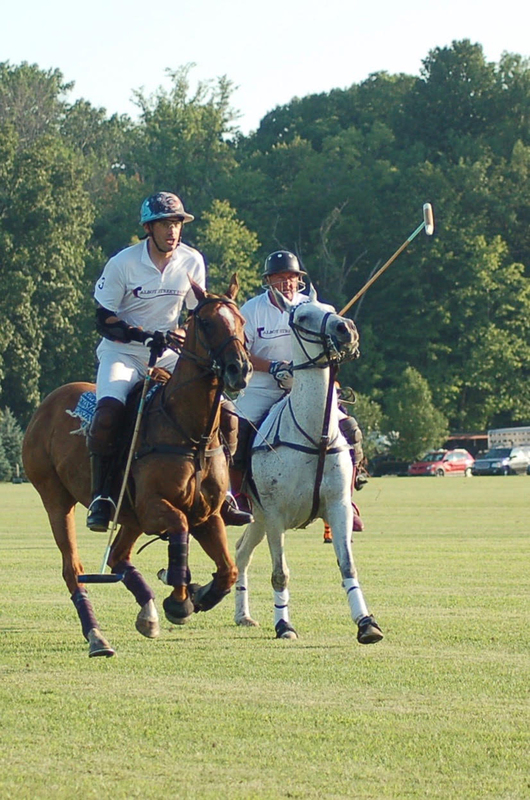 Sixteen members of Hickory Hall Polo Club play against each other and occasionally compete against other polo organizations in surrounding states. “We have sprinkled in a few club matches just to help us offset the costs,” said Courtney Shafer, director of catering and events for the Conrad of Indianapolis, who also serves as president of the Hickory Hall Polo Club. Admission is $20 per car. 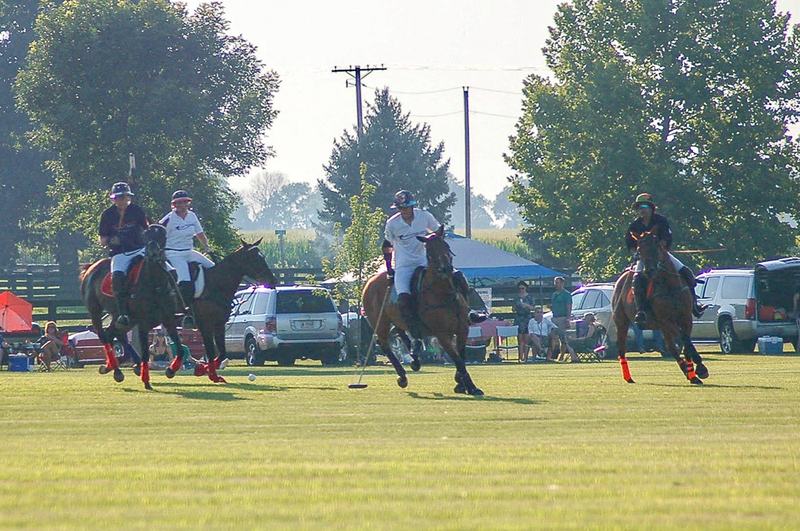 Proceeds benefit the evening’s charity or to the organization for club matches, such as the upcoming Polo and Pints match Aug. 4 and the Bridles and Bottles match in September. Shafer said the goal is to ensure local charities can benefit while attendees enjoy matches and socialize. Occasionally, candy is dropped from an airplane at halftime thanks to a local family’s donation. This year the club has partnered with LA Cafe so that spectators can purchase food on the premises. They can also bring their own food and picnic or tailgate beside the field. Organizations apply to be considered as fundraising recipients each January. The schedule is available at indypolo.com.